Artichoke recipes. All you need to know. Artichoke recipes. This is the best dip you will ever enjoy. Lets start with the vegetable itself. The artichoke has been around for thousands of years and has undergone centuries of changes and improvements by cross pollination. It has many uses. It can be cooked, made into tea, used to flavor liquor, used as a medicine. Artichoke tea can be found in some Chinese stores. It is a product of Viet Nam. It has a slightly woody flavor but you need to try different makes because each manufacturer uses a different blend. 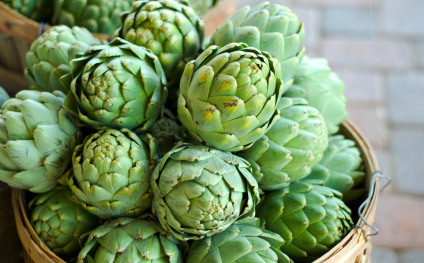 Of all the antioxidant-rich foods, the artichoke hearts rated fourth highest among the 1,100 foods tested. They beat out red wine, grapes, blueberries, coffee and tea. The tea can be made by crushing dried leaves. Within the artichoke is an active ingredient called cynarin that is found in the pulp of the leaves. This ingredient aids in bile flow and is of great nutritional benefit. It aids in the functions of the liver, gall bladder and lowers the HDL/LdL ratio. While reducing the risk of heart disease and arteriosclerosis. Extracts from the leaves are also known to aid in the reduction of cholesterol. To say the least, artichokes are one fantastic vegetable. There are many great recipes. 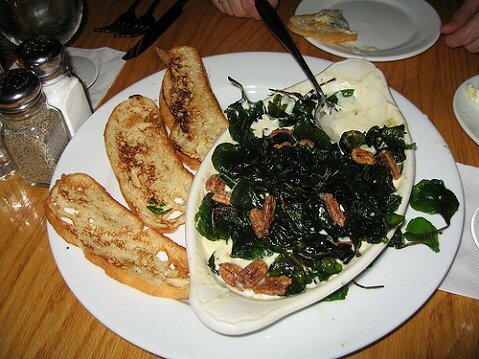 Here is a terrific spinach artichoke dip you will want to try. First a few tools and tips. The spinach should be cleaned and dry for this artichoke recipes. Marinate the hearts in oil and let them drain. Add a little seasoning and herbs to taste. Prepare the cream cheese by softening in the microwave for fifteen seconds. Preheat the oven to 350 degrees. Prepare the baking dish with vegetable shortening or spray with Pam. Mix all of the ingredients except the artichokes and spinach in a mixing bowl using medium speed. You want it nice and creamy. Now mix the artichokes and spinach by hand. Spread the whole thing in the pan. Sprinkle the top with mozzarella cheese. Bake in the oven at 350 degrees for 30 minutes until it is light brown on top. Let it sit for ten to fifteen minutes before serving. Place on a platter (large) and surround the dip with tortillas, crackers, bagel chips. This serves 12 to 15 people. Artichoke recipes are fantastic. Your friends and guests will love this Spanish artichoke dip recipe. Seasoning cast iron pots and skillets. For years our family have enjoyed cooking chicken in many different ways. The chicken and dumpling recipe and chicken marsala recipe have been favorites. The chicken noodle soup recipe was great and we tried the chicken fried steak recipe but our favorites were the chicken parmesan recipe and the Italian chicken recipes.